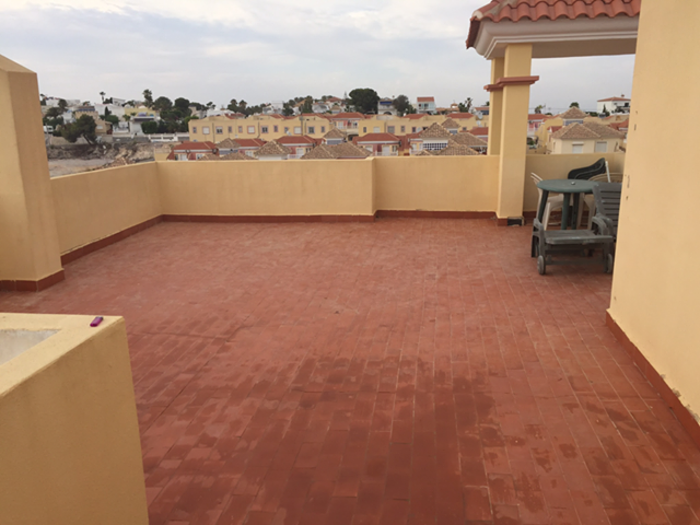 This apartment for sale in Villamartin Spain is a penthouse apartment with a 50 square metre Solarium. 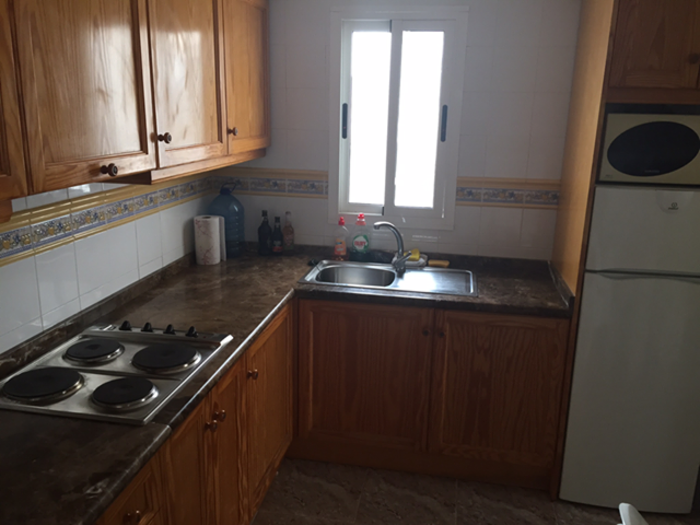 The property is 120 square metres. 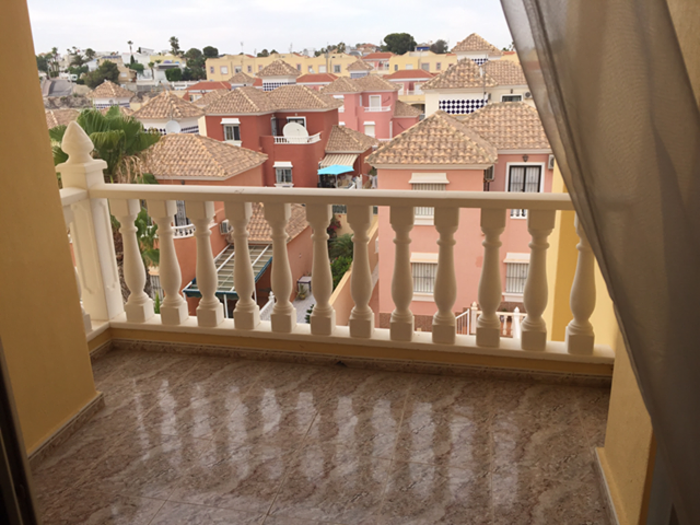 It is a top floor apartment with amazing views of the local area. Due to it location you have great views stretching into the distance from all angles. 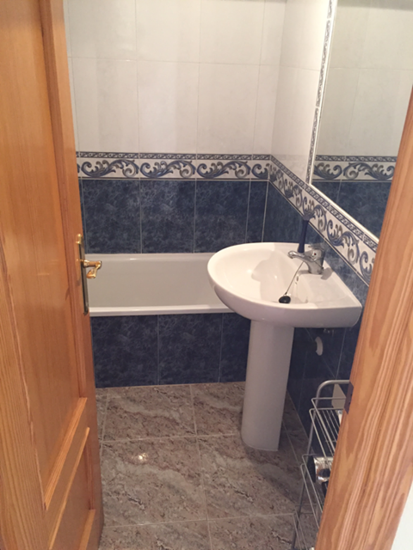 The apartment has two bedrooms and one bathroom and is an open planned apartment. There is an internal staircase to the open private solarium on the roof providing your stunning views. There is a balcony on the apartment to enjoy the sights. 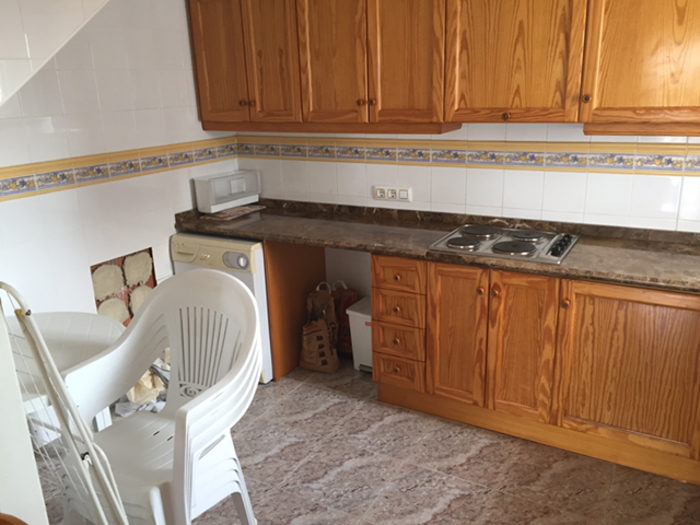 The property comes furnished and so you can either live in the property straight away or rent it and enjoy a nice rental income each year. 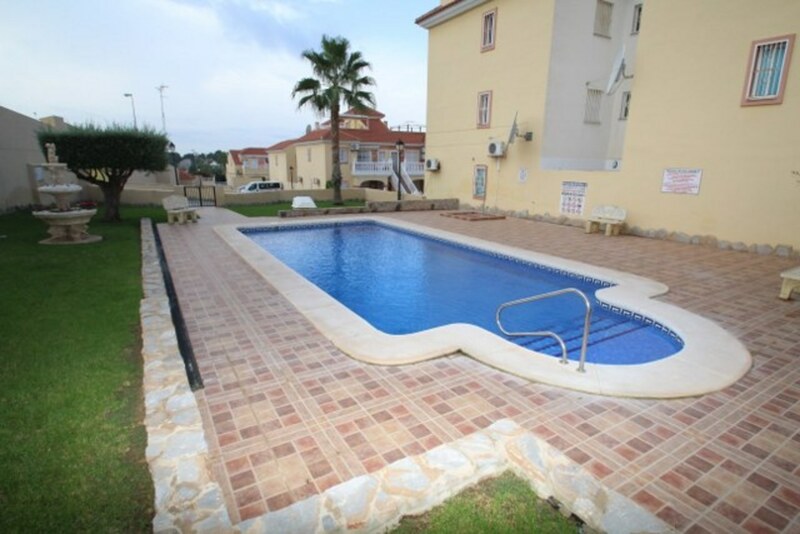 The apartment is part of a complex that has 5 well kept pools for your leisure. 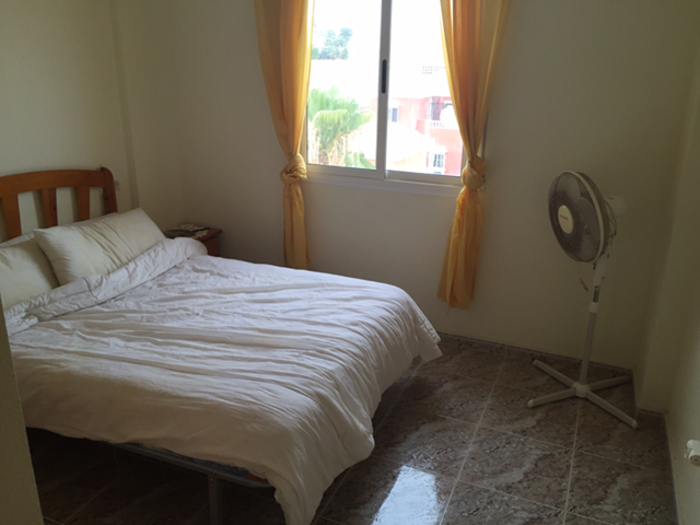 The air-conditioned apartment is well located and Torrevieja is only 5.6 miles away. 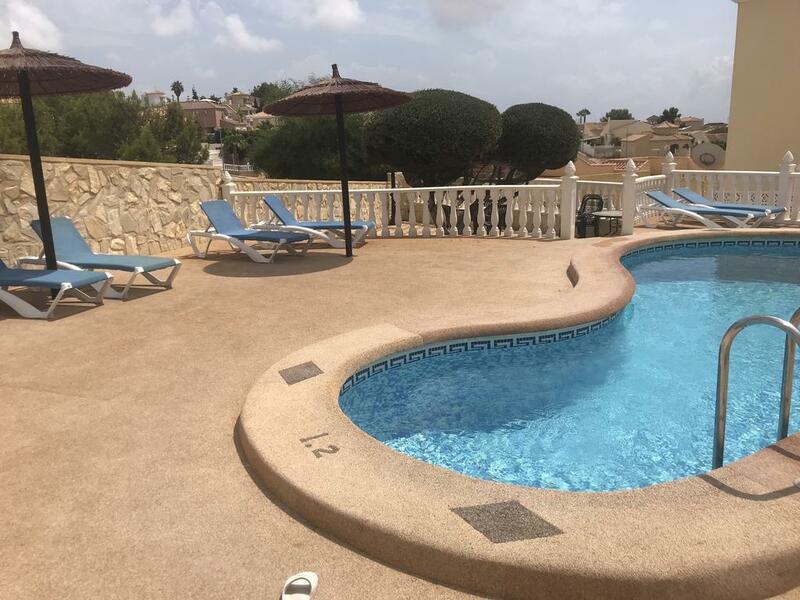 Cartagena is 26.1 miles from the property and Murcia-San Javier Airport is 11.8 miles away. 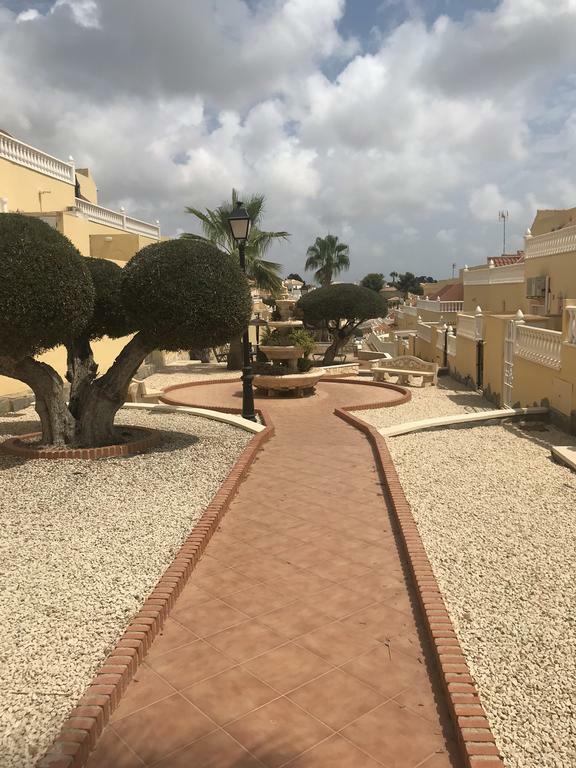 Real Club de Golf Campoamor is less than 1 mile away and there are many shops in the area such as Zenia Boulevard Shopping Centre which is 2 miles away. 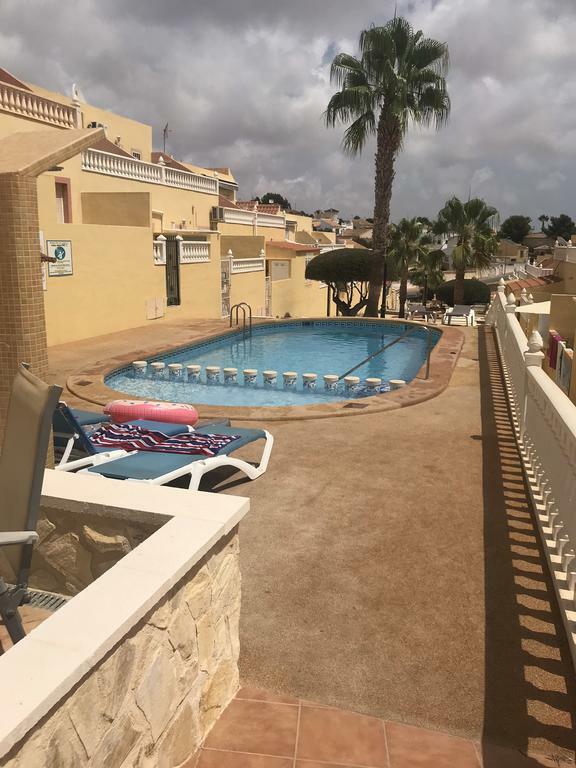 Cabo Roig Beach is only three miles away.